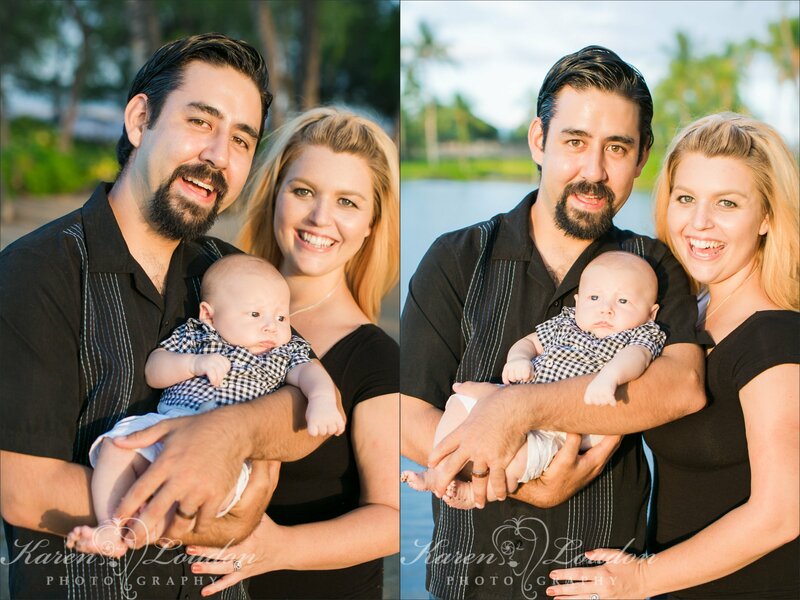 Robert and Tia Yagi met in college at University of Hawaii in Hilo and fell in love at first sight, 9 years later and 1 year into their marriage a little blessing was born. 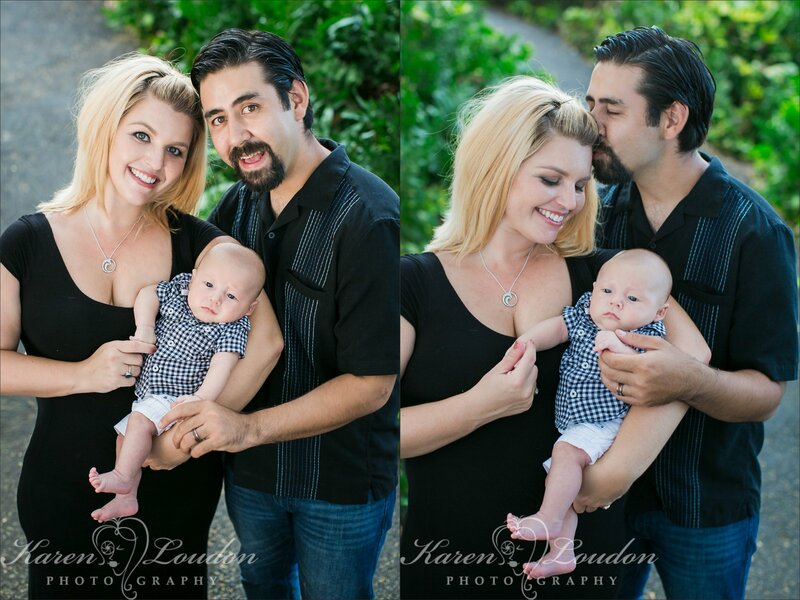 Kainoa James Yagi-born July 10, 2014. 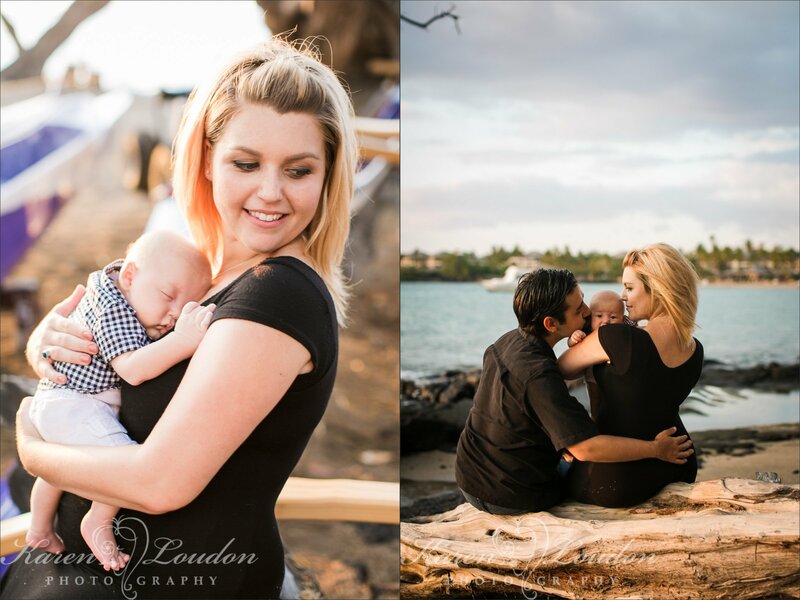 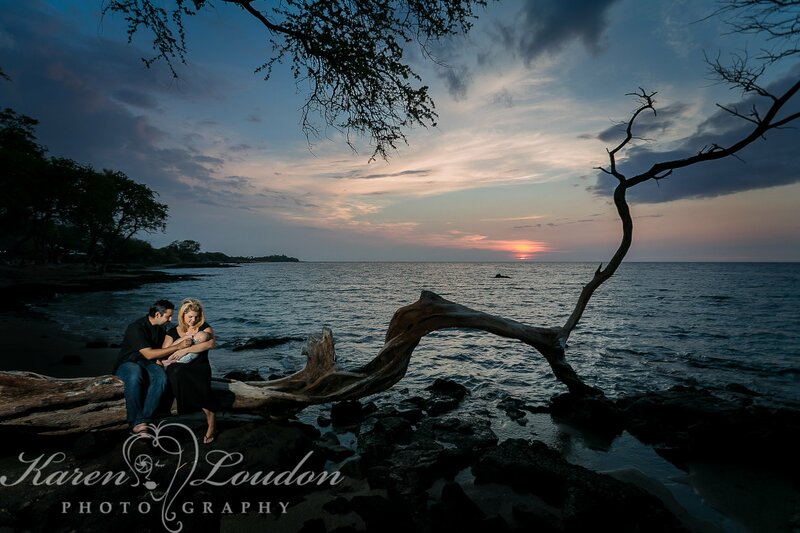 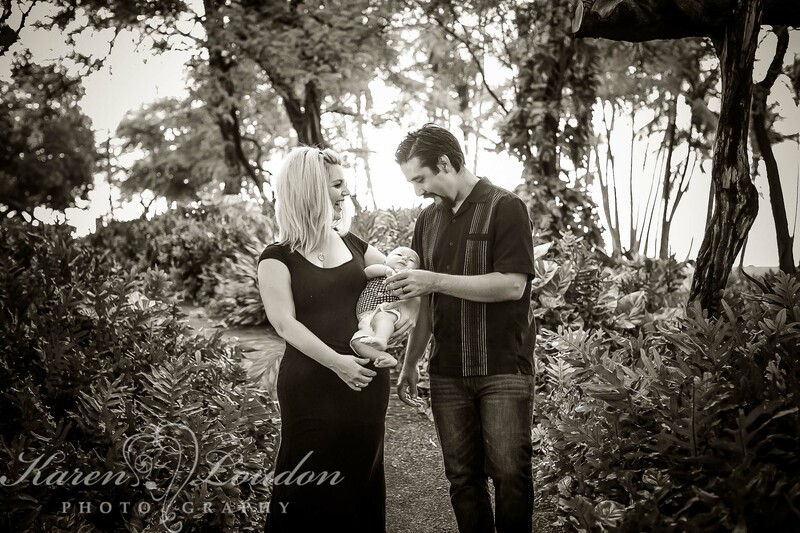 Born just weeks before Hurricane Iselle hit the East Side of the Big Island and in Pele’s direct path of her current flow this family came to overcome so much right from the start. 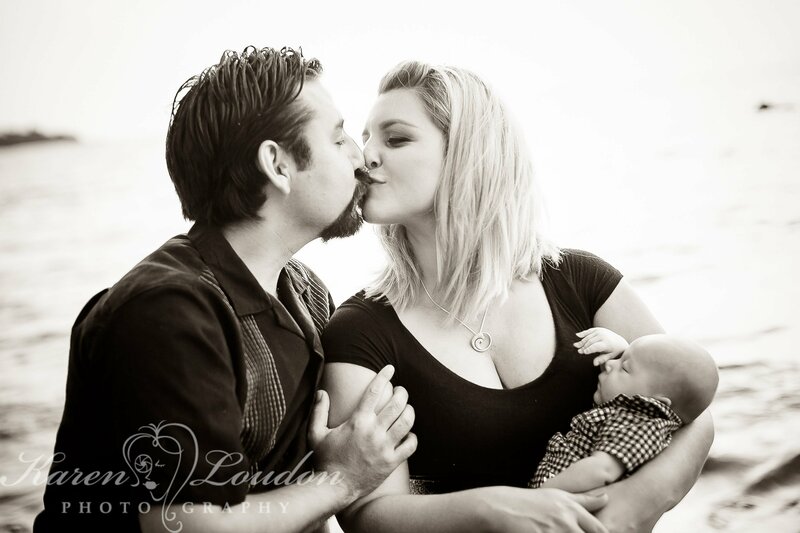 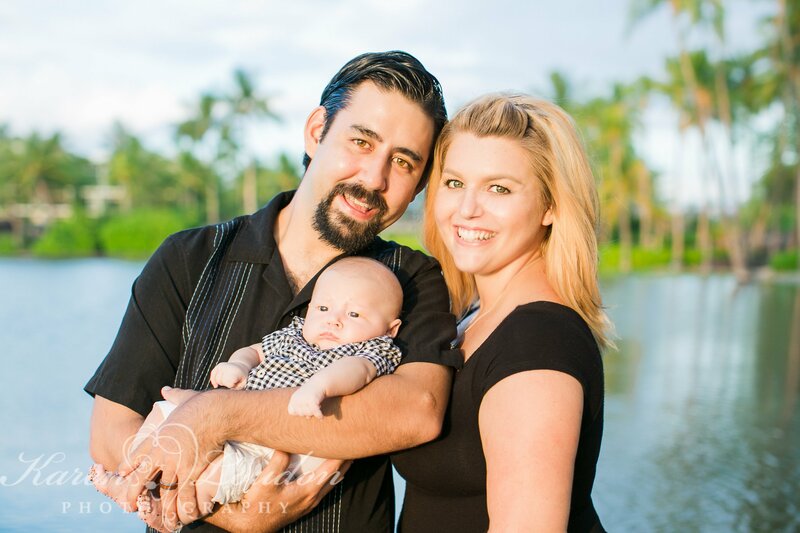 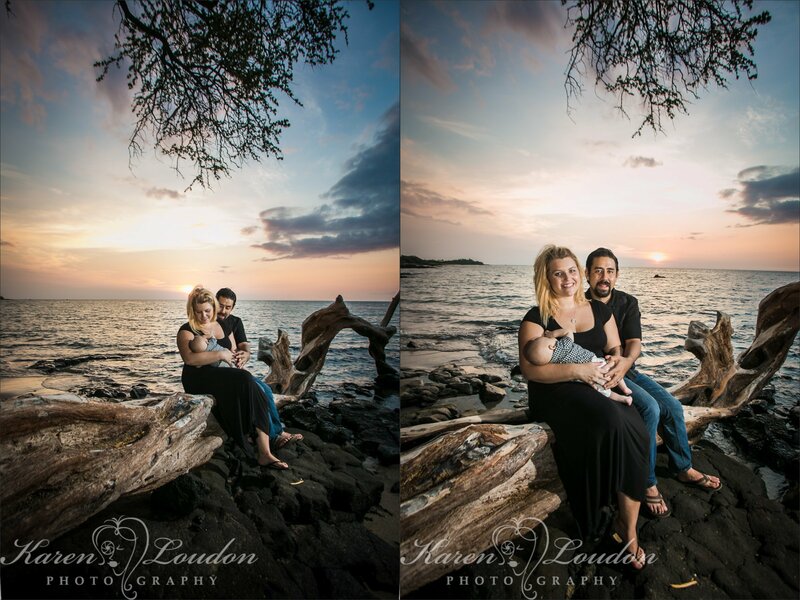 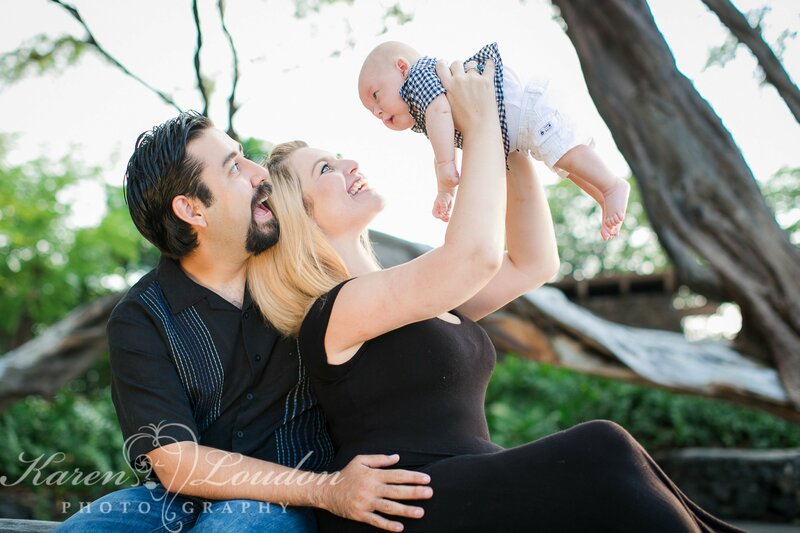 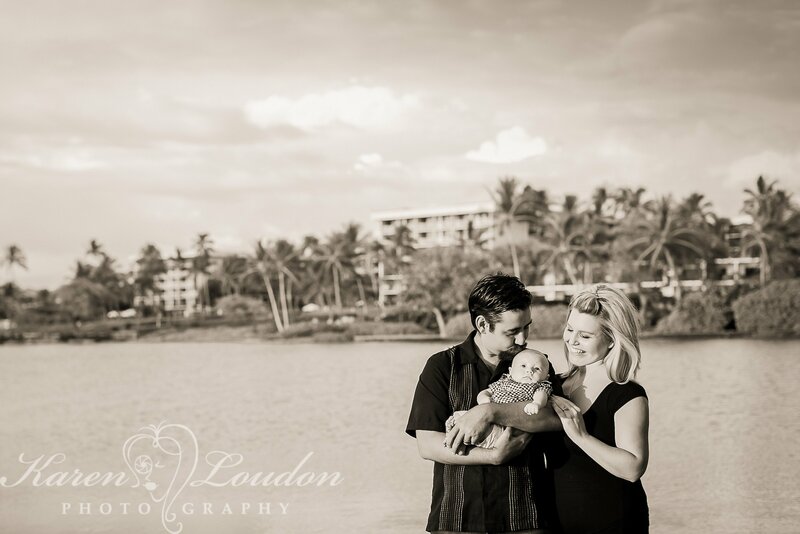 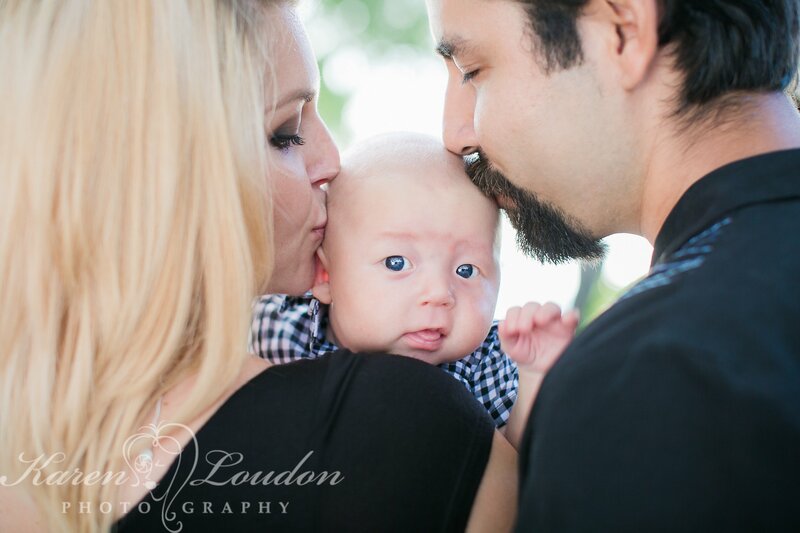 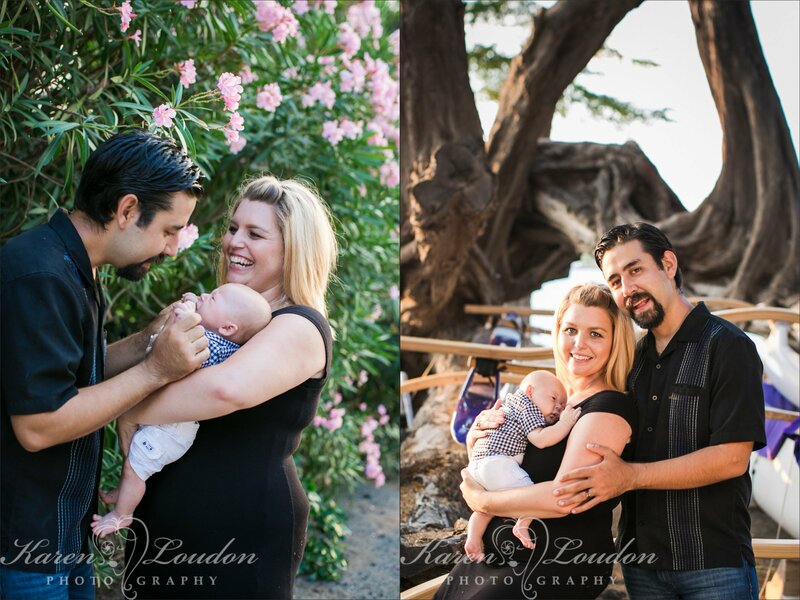 This session was a nice break from the scary reality of nature’s destruction for the Yagi family. 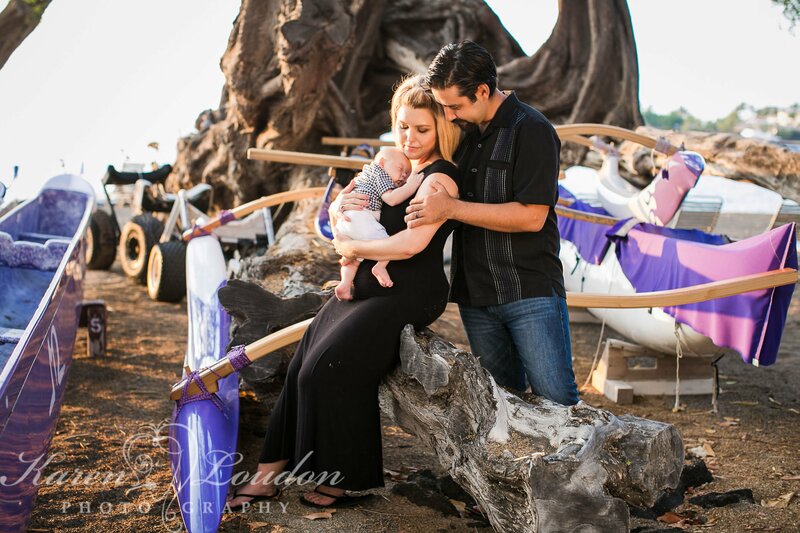 At 8 weeks old this was Kainoa’s first time not only to the West Side of the island but the first time to the beach. 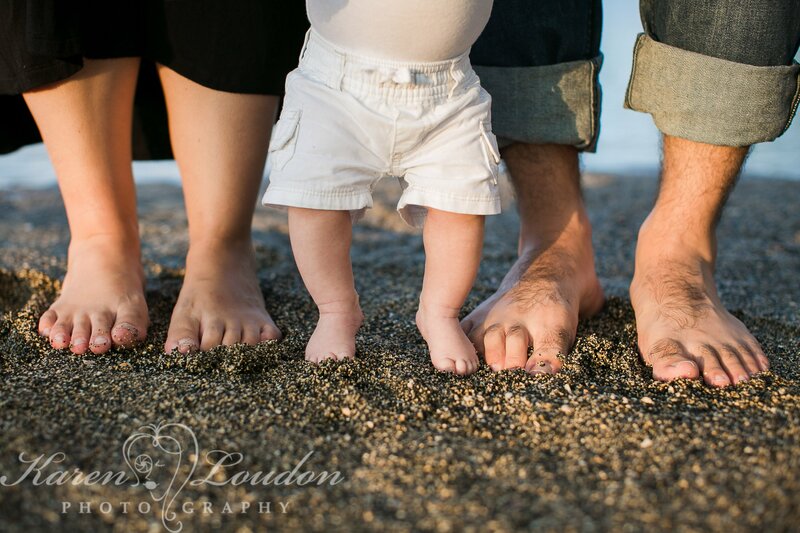 He loved squishing his feet around in the sand and even fell asleep to the sound of the waves crashing behind them. 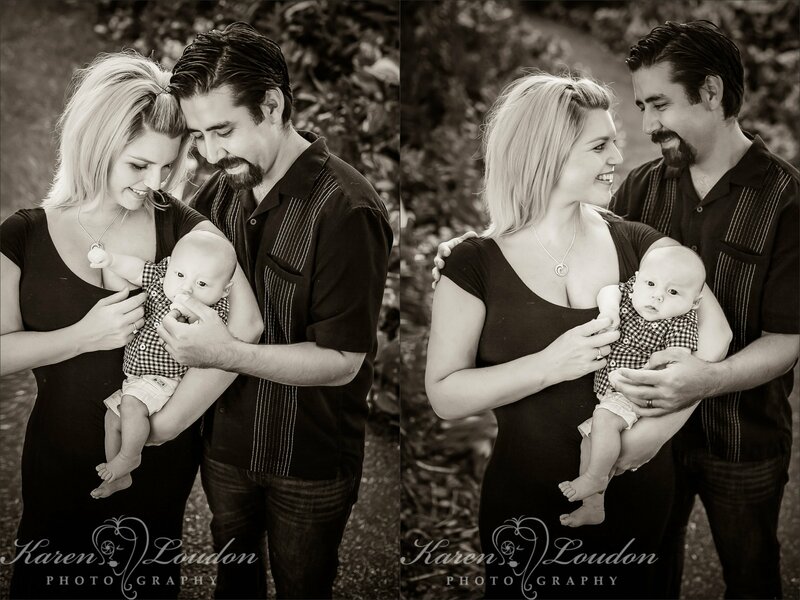 They are so happy to have had these pictures taken of Kai-they cherish them. 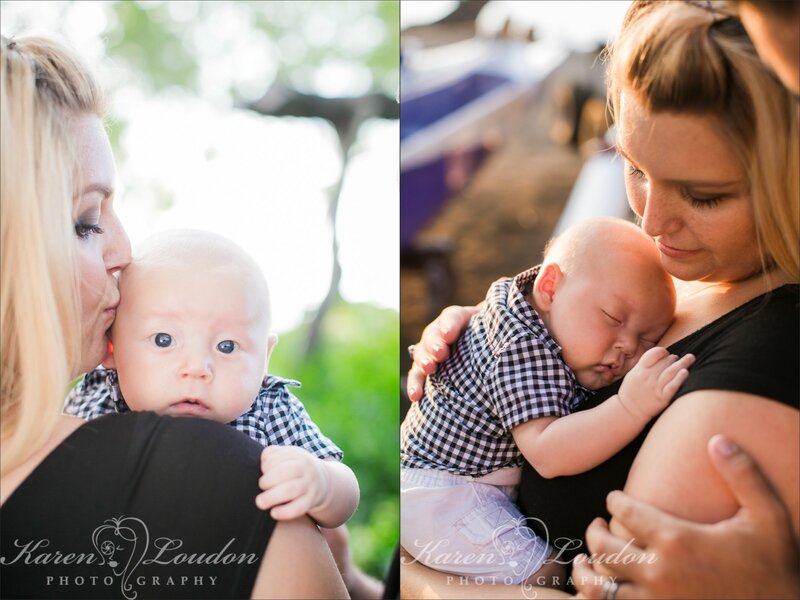 Babies are only so small for so long-he almost looks like a doll in most of the pictures. 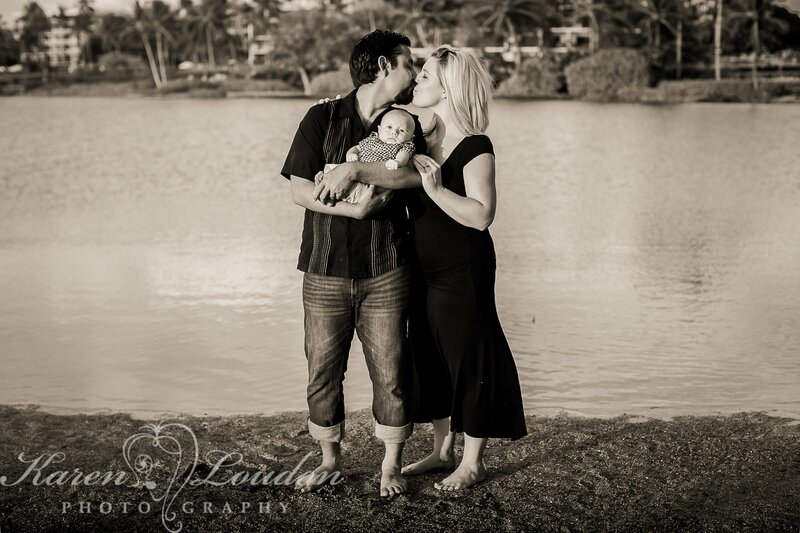 They used the picture of their feet in the sand as their Christmas card to send out to their families on the mainland. 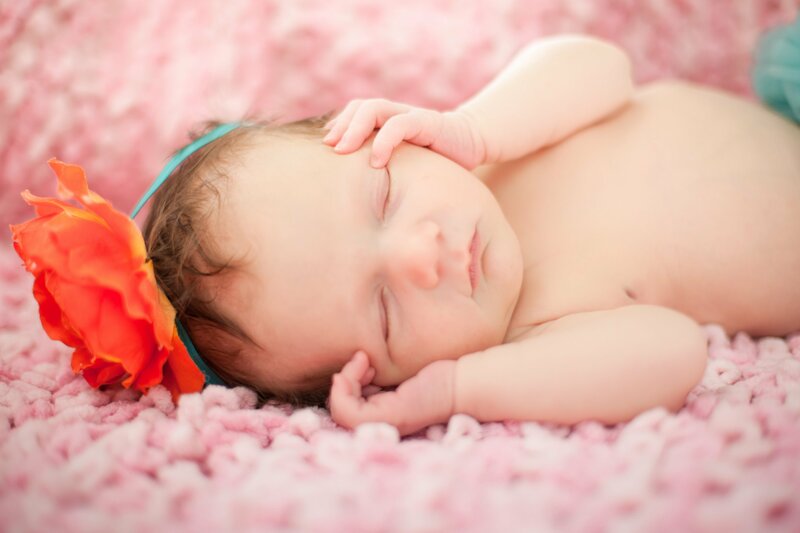 Meet Marley, 6 days old. 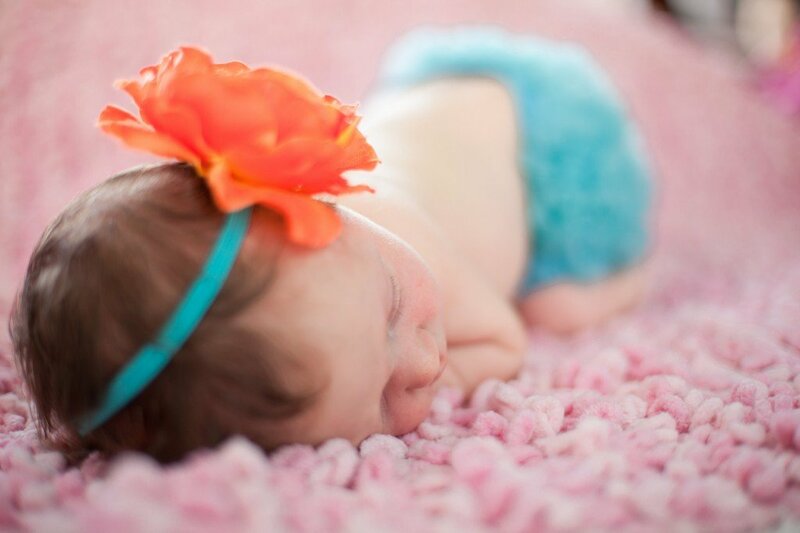 I Loved this little one even though she did fight me and her mom on the whole sleeping thing. 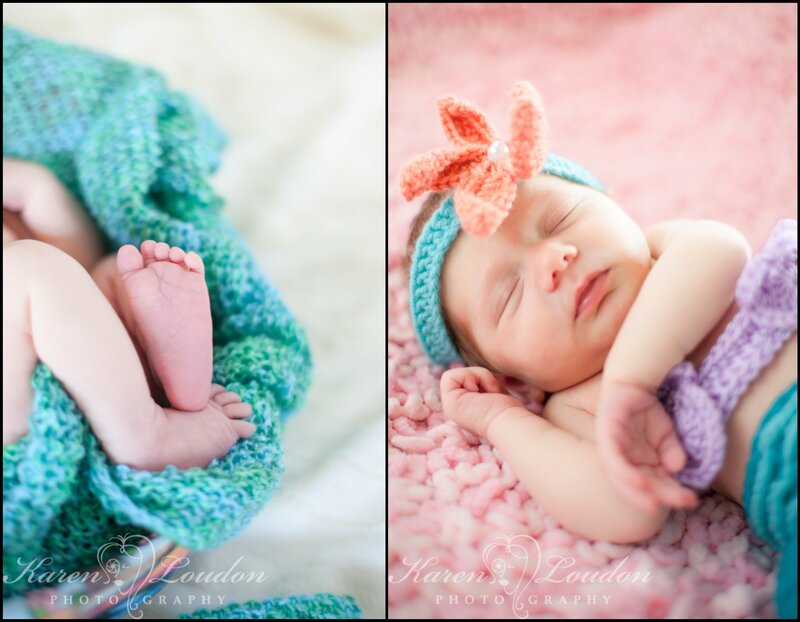 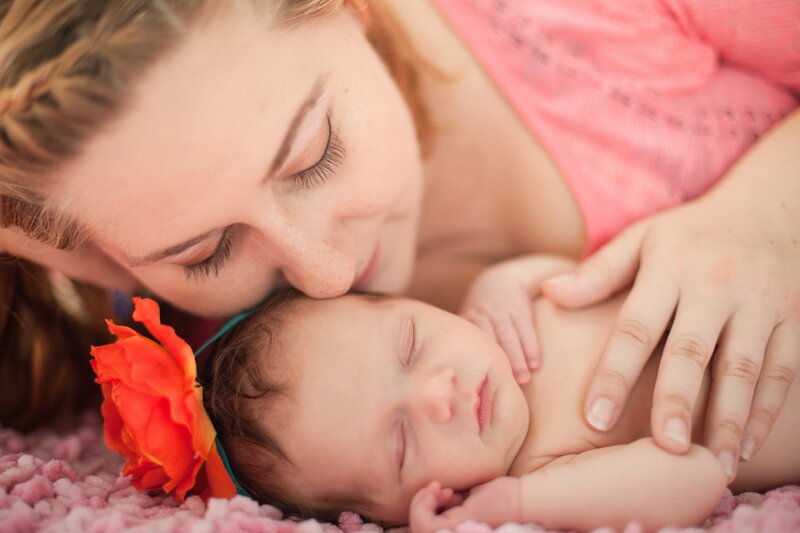 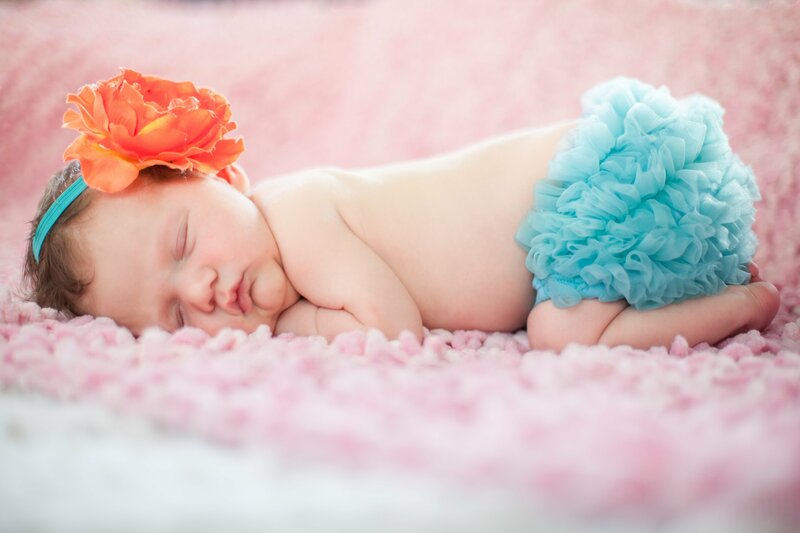 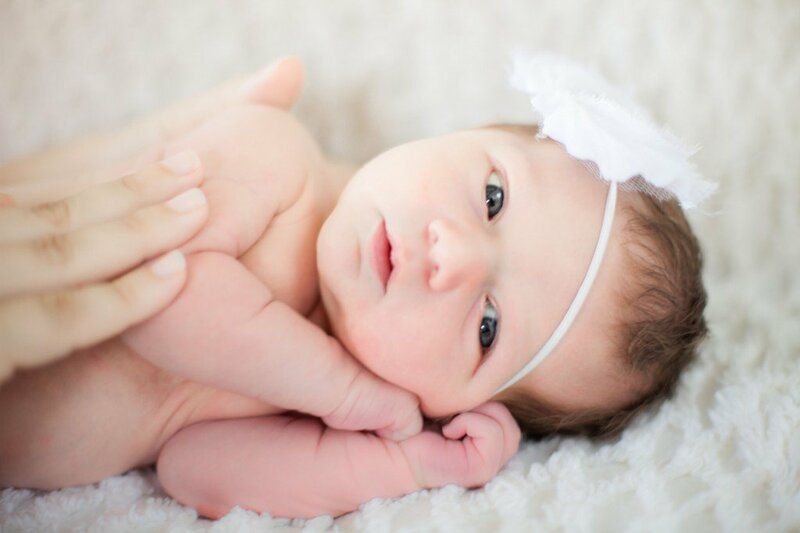 I love the awake photos just as much as the sleepy ones, and how adorable are her chubby cheeks!